Purpose: To develop the quadricep and buttock muscles. The secondary muscle group being targeted for this exercise are the hamstrings ("biceps femoris, short head" and "biceps femoris, long head"). 1. Adjust the height of the head rest on the Leg Press Machine so that your head adequately supported (if applicable). 2. Seat yourself in the Leg Press Machine and grip the side handles. 3. Place your feet on the foot plate at shoulder width apart. 4. Push the weight up and turn the safety bars. 5. Bend the knees and start lowering the weight while bringing your knees towards your shoulders. 6. Push the weight back up to the starting position. Fall short of locking your knees. 1. Inhale while lowering the weight. Exhale while raising the weight to the starting position. 2. Placing your feet in different positions on the foot plate will place greater emphasis on different muscles groups. See "Leg Press Variations" below for more detail on this. 3. 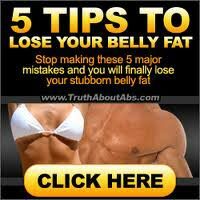 As you're lowering the weight you want to make sure you're lowering your knees towards your shoulder not your chest. This will allow a great range of motion. 1. Feet wider than shoulder width. 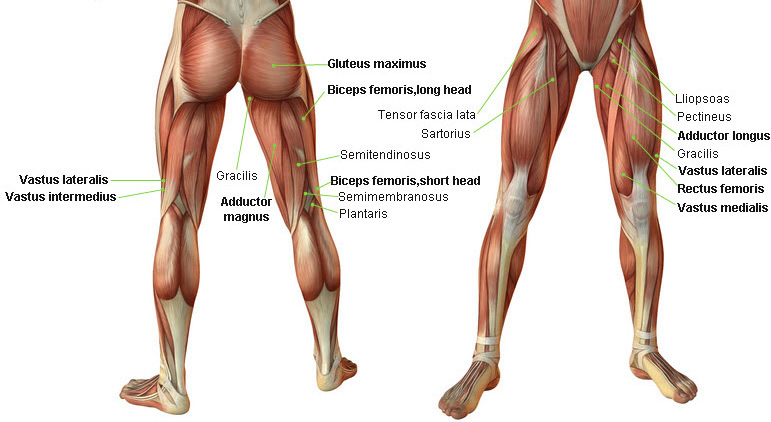 This puts more emphasis on the adductor muscles. 2. Feet narrower than shoulder width. Places strong emphasis on the quadriceps. 3. Feet low on the Leg Press Machine foot plate. Places strong emphasis on the quadriceps. 4. Feet high on the Leg Press Machine foot plate. Emphasizes the buttocks and hamstrings. 1. This exercise is a safer alternative to regular squats because it places less stress on the lower back. 2. This exercise is not recommended for those with knee problems. 3. Never arch your back or lift your back off the back pads, this could lead to back injuries.